The Personal Library system is a powerful organizational tool that allows you to manage your reading better. 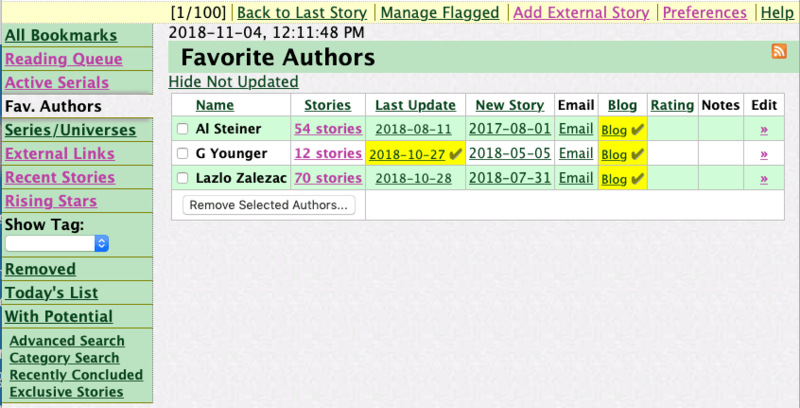 You can have custom story lists, custom story types, custom search keywords, personal notes and personal ratings for each story. It has built-in tools to keep track of active serial stories. You can keep track of your favourite authors, their updates and their blogs. 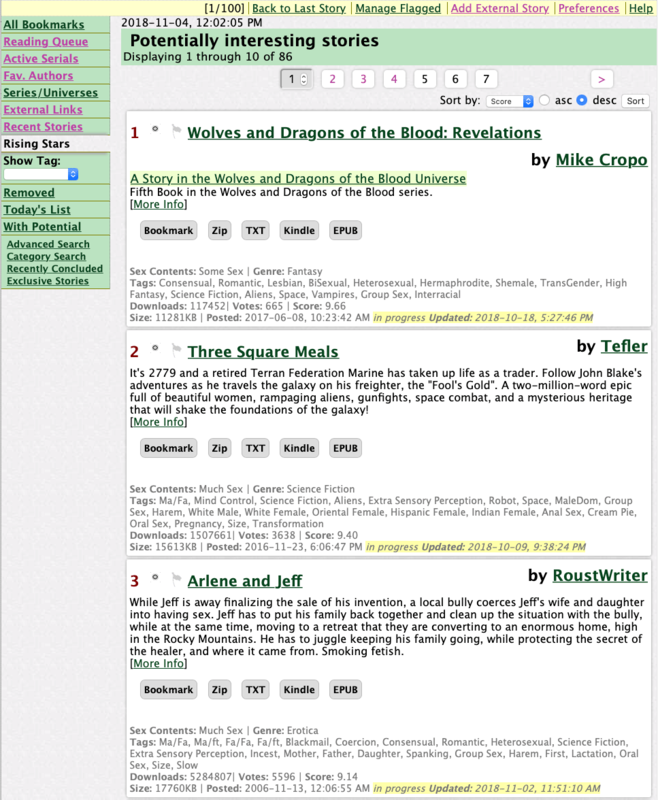 Build a Reading Queue for 'browse-now-read-later' use. You can even add stories from other sites or from your computer's hard drive for a one stop reading management system. Flexible preferences to make the library work for you. Optionally have the library track up to the last 500 stories you've accessed on the site, just in case. 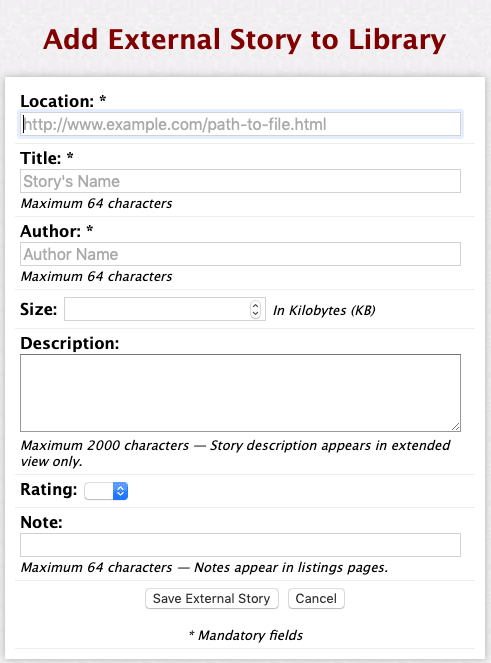 Optionally track stories when they reach a certain score for finding potentially interesting stories.